Original dining table designed by Rudolf Wolf in 1955 for Elsrijk. 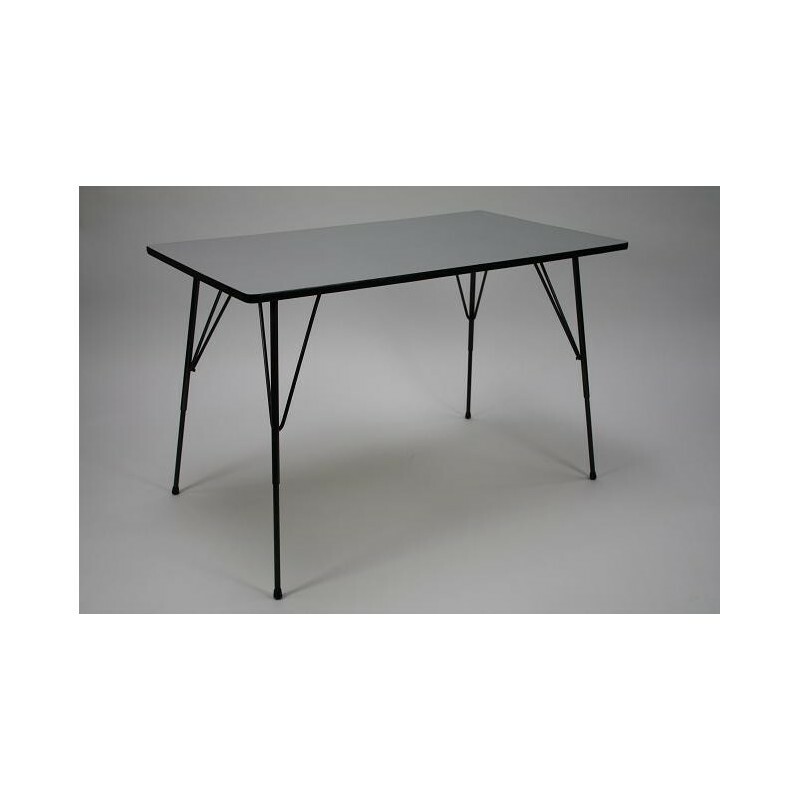 The minimalist design of the table clearly reflects the period in which they designed. 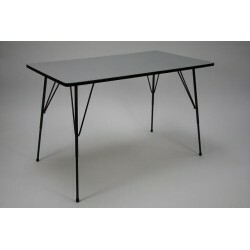 The table has a black metal frame and a light gray Formica top. The table is in very good condition. 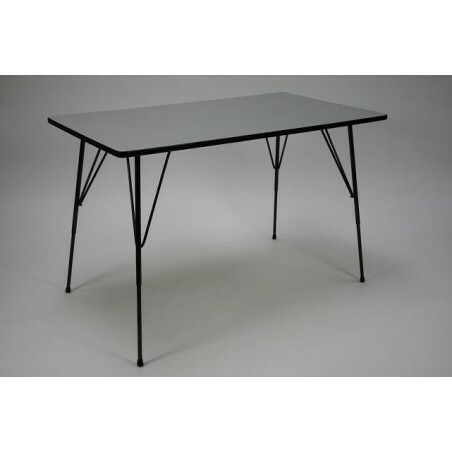 The dimension is 114 cm L / B 67 cm / 75 cm H (height is adjustable from 50 cm to 80 cm).